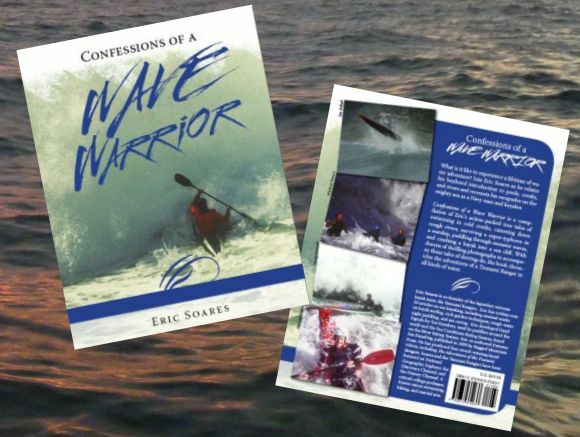 The past week has a been an absolute whirlpool of speaking engagements, book signings, press commitments and a little bit of paddling as I officially launched the book I’ve worked on for the past year. It’s been both crazy and a little terrifying as I finally expose my inner thoughts and short-comings to the public whilst trying to raise the profile of the sport I love. Fortunately it’s also allowed me to spend a fair bit of time on the water and Sydney put its Winter aside to give me beautiful conditions in which to paddle. 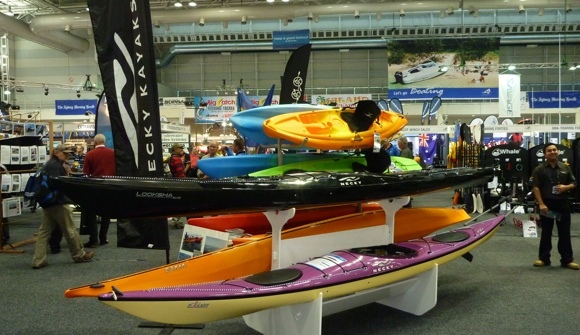 The boat show itself is amazing, hundreds of square metres of boats, kayaks, fishing gear and more, with 70,000 people coming through the gates. 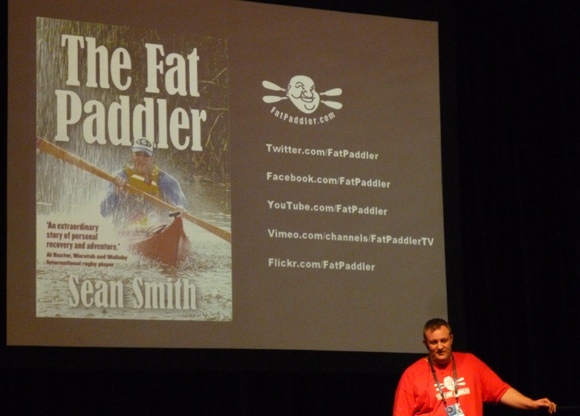 Twice a day for 5 days I’d get up on the main stage and talk about the joys of paddling, how to get into it, the different types of paddling and of course a little teaser on the details of my book. Then I’d take to a table at the back of the stage and sign books for punters. 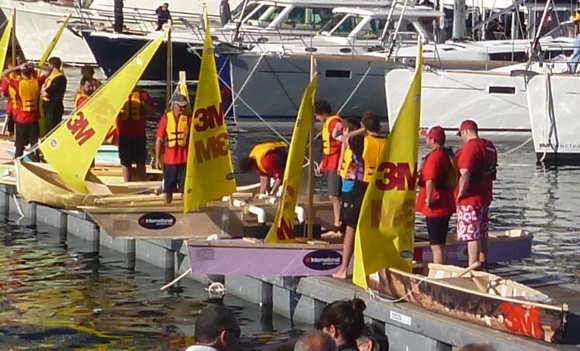 I also got to take apart in the Boat Builders race, a competition where apprentice boat builders are given a pile of materials and two hours in which to build a boat that they race later that day. 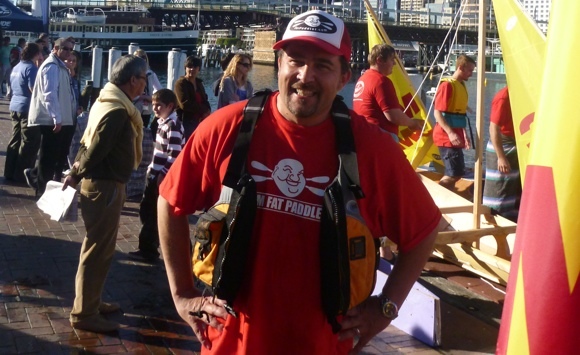 Teams had flown in from New Zealand to take part, with Team Fat Paddler stepping in as ring-in paddlers for the Master boat builders. 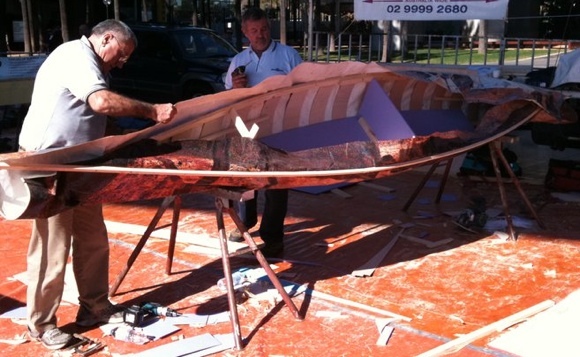 This was an awesome competition, with competitors building ply boats that they would paddle around a course in front of thousands of onlookers on Sydney’s Cockle Bay. Our Master builders had instead opted for an old school canvas racing canoe for TFP which looked both beautiful and quite able to take the combined weight of Midshipman Mike and yours truly. The race itself was hilarious. Our canoe split at the centre bulkhead when I plonked my weight into it, giving the boat a subtle bend to the left. It also oil-canned somewhat with Mike and I loading up each end of it, which meant the boat tracked predominantly straight (although slightly to port). The boat itself was fast and tippy, and under full power seemed much faster than the other boats. However, it also didn’t turn. At all. Which made the three sets of corners near impossible! When we finally guided the boat to the finish, we’d come in at 4th place, with another four boats having actually broken apart and sunk behind us! The Sydney skyline - not a bad backdrop for a boat race! 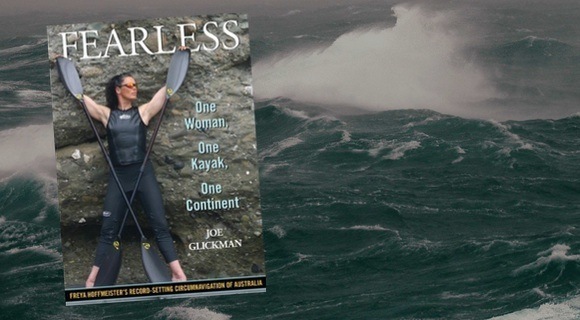 Of course, other than the excitement of launching my book, I also got a heap of paddling in, predominantly to test out my new whitewater kayak. I paddled flat water, out through the Heads, in rock gardens, in rocky whitewater and in the surf – all of which have lead to me loving my new boat. 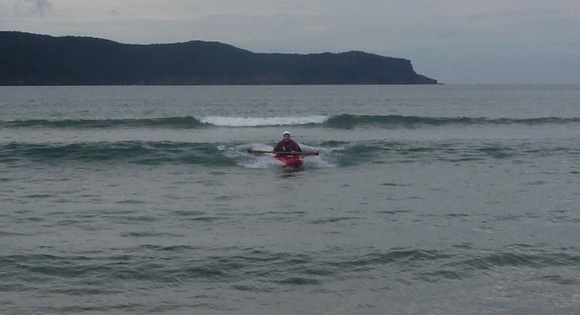 Surfing little 1 footers at Umina Beach. The Remix will surf anything! Nice one Captain. Great to see you out and about spreading the good word. It must have been a fantastic week. 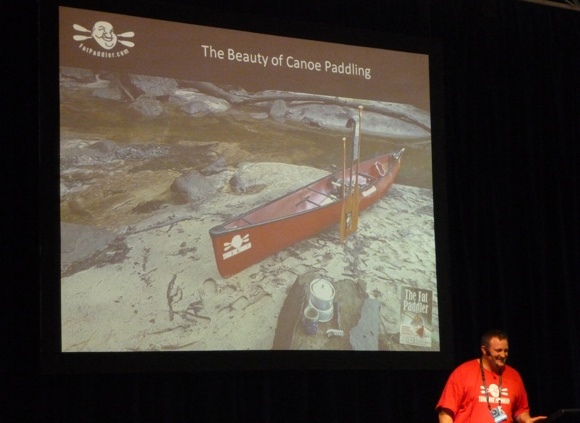 Shame there aren’t any pics of you and Mike in the canoe. Male model Michael still at the school of posing. 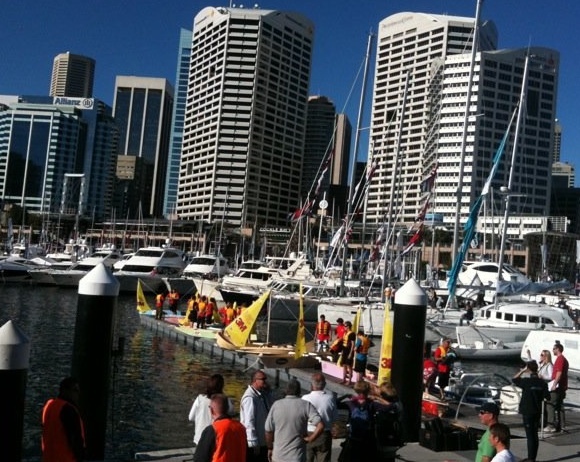 Don’t suppose there’s any chance you’ll be at the Brisbane boat show? It doesn’t look like there’s going to be much kayak stuff there at all. Hmm, I’m not at this stage, but I’d be open to an invitation if the offered me one? Missed the boat race – looks like a lot of fun.